In order to ensure you continue to maintain compliance with relevant legislation the Management of Health and safety at Work Regulation requires Employer’s to monitor and review their health and safety arrangements. If you already have a Health & safety policy and a safety management system then a gap analysis or audit will help identify any areas which may have been missed or if any element of the policy or system can be improved. 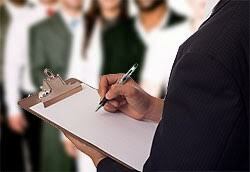 Audits are general document based but can be expanded to include inspections of the workplace. Regular workplace inspections are a key method for monitoring health and safety compliance. They are used to monitor the fixed environment and observe working practices to ensure compliance with required processes, procedure and / or relevant legislation. Such inspections can include the whole workplace or be targeted to review areas of concern. To ensure we are able to offer you the best possible service we offer a FREE initial review. During this review our aim is to understand the current position within your business and therefore confirm if relevant legislation is being met.